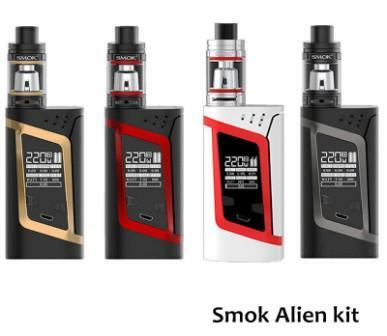 THE ALIEN KIT SIMPLY OUT OF THIS WORLD! At first contact with a highly advanced technological alien race who know that could happen. 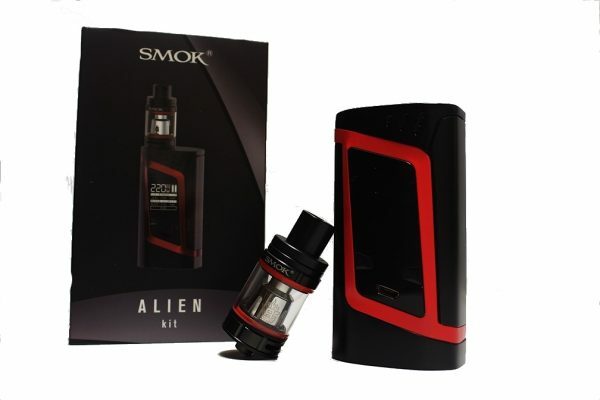 When it comes to vaping, however, the Alien has already landed. Invading the lives of vapers all over the world and merging high tech with simplicity. The Alien has a smooth shell with energonomic design. The USB port, easily visible OLED screen and easy click buttons make this other worldly device very easy to use as well as comfortable to hold in our human hand. 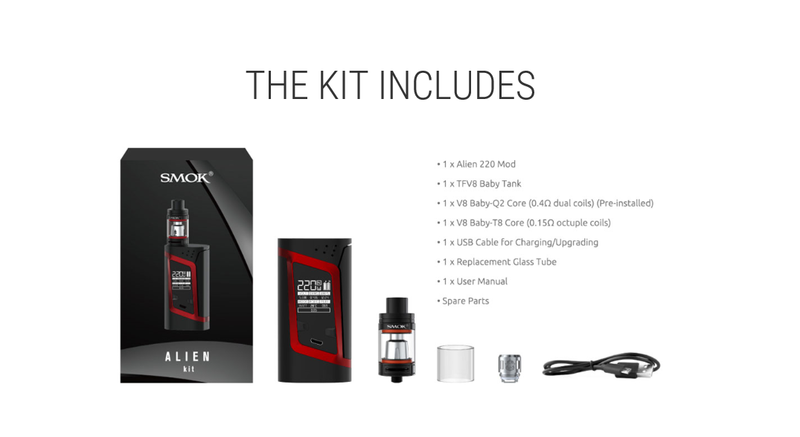 The Alien bring us humans incredible power (220 watts) in a small package, combined with the TFV8 Baby tank, this intergalactic combination is sure to satisfy cloud chasers and flavour chasers alike. excellent service , fast delivery , trustful , pleasure to deal with. 100% authentic with very cheap price AAA! excellent service, fast delivery, great communication and customer service all round. 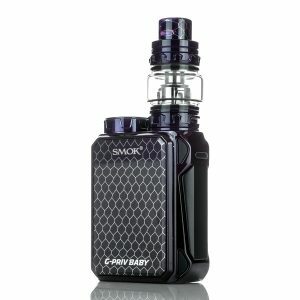 I loved the Smok alien i got from here for usage, however i had a faulty mod which had an electrical fire 6 weeks after purchase 🙁 . 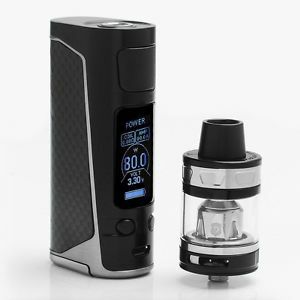 I contacted Vaperchoice.com.au though and am recieving a replacement shipped out within a week. So can’t fault this store at all. 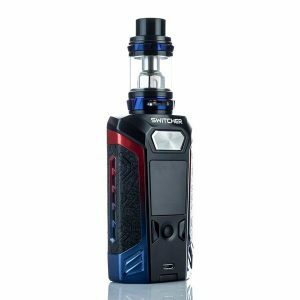 The product though i’d rate the smok Alien 5 stars for use, but want to see how long the replacement lasts before i can comment on its durability.